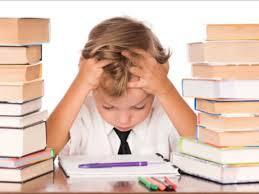 When it comes to homework, children are smart enough to cook up some or the other excuse to escape from the burden of sitting and finishing assignments and projects. Apparently, they find their homework to be not only tough but also mundane and repetitive; and they would do anything to avoid it. This habit affects children more deeply than parents think that it does. After being used to running away from homework all childhood, students as young adults cannot get themselves to sit at a stretch for a few hours and finish a mind-boggling assignment. As a result, they simply leave their homework copy blank and end up getting poor grades. Students should, however, realise the importance of homework, and the role that it plays in the development of not only their career, but also their character. Both parents and teachers need to work actively in this direction, to ensure that the process of doing homework becomes fun-filled for the children instead of being something that they are afraid of. Teachers and parents should take time to patiently explain the importance of homework to children so that the latter can change their thought process towards it and get rid of their prejudices. Parents often feel that their children are trying to escape from their homework because they are just being lazy and they don’t want to sit down in one place and miss out on their play time. However, more often than not, children avoid doing their homework because they don’t know how to do it, and this just means that their parents should start giving them more attention. Punishing children for not finishing their homework will make them resent it even more, and it can have a profound negative impact on the child, even making him or her develop a phobia for homework. If students are allowed to work in a friendly environment, they will be more comfortable sharing their doubts with you and thus they won’t fear their homework as much as they presently do. 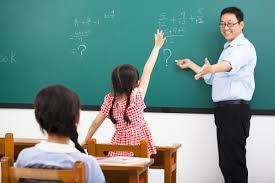 Children are often scared of their class teachers and hence refrain from asking too many questions in the class. Make sure that you do no recreate such an environment in the house, and that children are comfortable and unafraid. Students would work hard if they know that there is an incentive for them lying at the end of the completion of the task. It motivates them to work harder, and in fact, it actually makes them look forward to their homework time since they know that there is a reward for them lying at the end of the session. Do not expect your child to be prepared to sit for hours at an end on the first day. Getting accustomed to this habit will take time. Thus, it is essential that you give some time to the child, so that he or she can adapt to the new timetable at a comfortable pace. If you show the entire task to the child, he or she will only freak out and try and avoid doing the work since it seems to be long and tedious. Thus, break the assignment into parts, and let the child do it bit by bit, so that it does not seem like a burden. Even after following all of these tips, students might face a few difficulties in finishing their work. 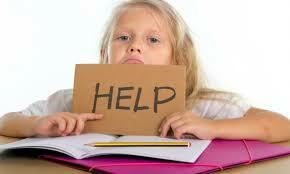 In such a case, you can avail of our Homework Help Services. MakeMyAssignments offers a variety of online assignment services to make sure that students can finish their assignments on time, and not be stressed about it. Make use of our affordable assignment writing services that are offered by online expert writers and get easy assignment help on our website. 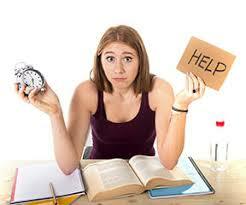 next post: Our expert assignment writers will make assignment writing a breeze for you!